Time for me to admit a guilty pleasure (one of many actually)…Gel Manicures. Ladies, don’t you agree with me that there’s just no better feeling than when your nails are freshly done? My dad might cringe if he were to read this post. He has a weird pet peeve about woman with chipped nails or with nails that are any color other than the traditional reds or pinks. Personally though, I like to add a little flavor and usually opt to go with bold and fun colors. 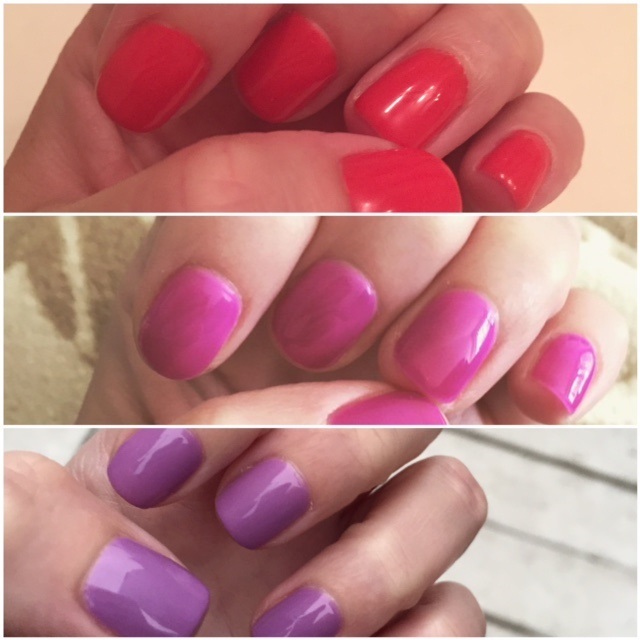 For my fashionistas in the DC/NOVA area – I recommend Pearl River Nail Salon in Arlington. Extremely friendly service and they play this really calm music that I love. Admittedly, R-E-L-A-X is not a word that’s in my regular vocabulary so believe me when I tell you the Pearl River salon is a good place for some R&R when you’re in need of pampering. My ONLY complaint about Pearl River is that I have noticed my gel tends to start chipping sooner than it does when I have been to some other places. Usually minor chipping starts within a week where it should not start until two weeks. Normally its ok if I ask them to put an extra coat on. For those who have not tried a gel manicure before, I definitely recommend it. It looks a little nicer with the finish and lasts much longer than a regular manicure, making it well worth the extra money you’ll spend. At Pearl River, a gel manicure is $35 (I think its around $40 or $45 for french) vs. a regular manicure at just $15. If you have any recommendations for other salons in the area, let me know so I can see how they compare! So my fab fashionistas here is my question of the day for you: What is your favorite shade for nails? Do you stick to the traditional colors or do you prefer to go bold?